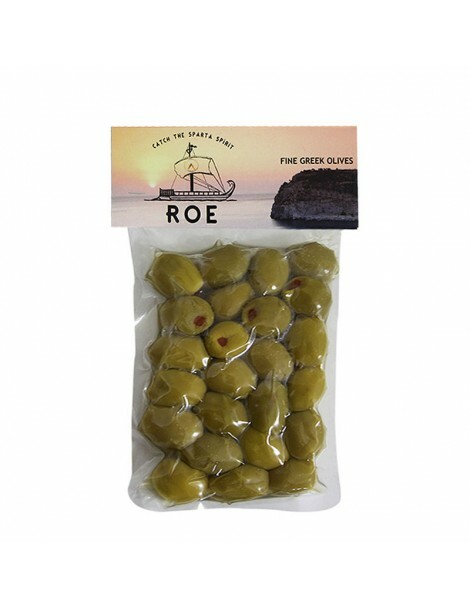 The Halkidiki olives stuffed with sweet red pepper paste is a delicious snack. The combination of th.. The Halkidiki olives stuffed with sweet red pepper paste is a delicious snack. The combination of the Chalkidiki olive with red sweet pepper paste gives a mild taste, which can be combined with all. Vacuum packaging of 250gr.